Please complete this form to register your product. In the unlikely event that you have an actual warranty claim, visit our warranty claim page. 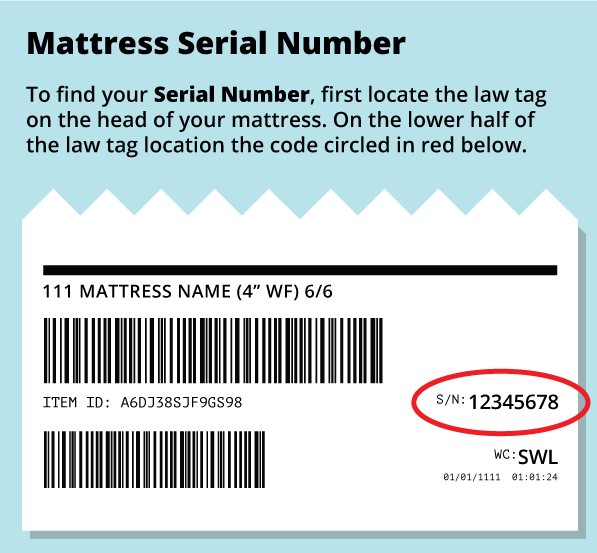 Mattress Serial Number Required Where do I find my serial number? 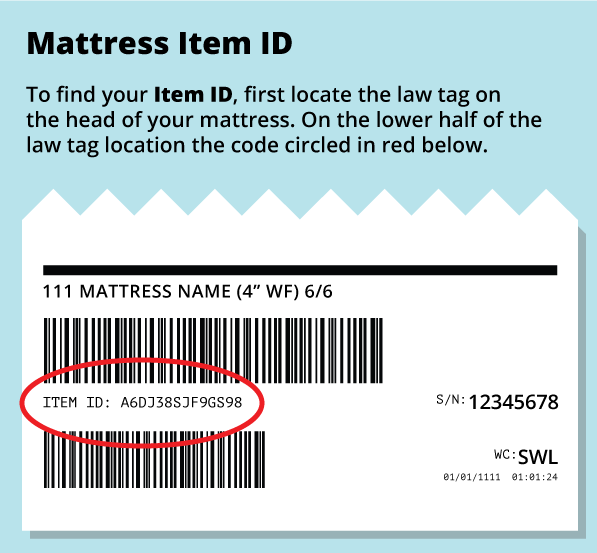 Mattress Item ID Required Where do I find my item ID? Rate Your Mattress Please click on a star below to rate your mattress. Review Your Mattress Please write a review of your mattress. All information will be kept private and not sold or shared with other parties.